Awesome program.. Just what I was looking for. 1. When you create the smart content. do you need to so that for every single file, and keep pressing the update button at the bottom ? 2. Got some warning once i tried to make a DIM, not sure what it all meant, but i had so assign some files. Which i did, and it still came up. 3. I checked some of the EXE files, and put them in Folders for 7.0.3 and 7.0.5 but once I select the folder and refresh, nothing is showing in the list. 1. It has to be done just like the video. As the smart content option hasn't changed much sense I made the app it's not very forgiven if you mess up. 2. Same as number one. 3. For the EXEs each one needs to be in it's own folder inside the main folder. The reason for this is when dumped if is has the files for smart content CDDS uses that to give the DIM the it's IMxxxxxxxx number and name if it doesn't have the files for smart content CDDS give the DIM your next DI number and folder name. The first two dump videos before the I enforce the each EXE in it's own folder rule. Sorry about that I removed them. Well it worked for the ones I had in a folder, and put it in another subfolder. for the 7.0.3 I only have 1 file in the folder, but nothing is showing.. So i guess i need to make another subfolder for that 1 file I guess in order for it to show up. Yes, if you have one EXE it still needs to be in a sub folder. ok, then I know that for next time. Any idea why it names some of the files as the folder name? @yugioh wrote: ok, then I know that for next time. 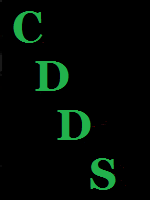 have the files for smart content metadata CDDS give the DIM your next DI number and folder name.